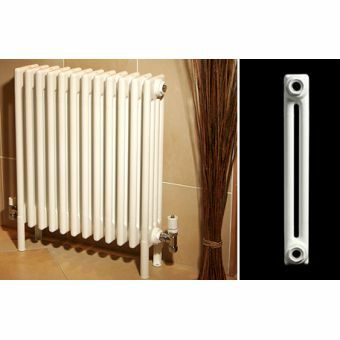 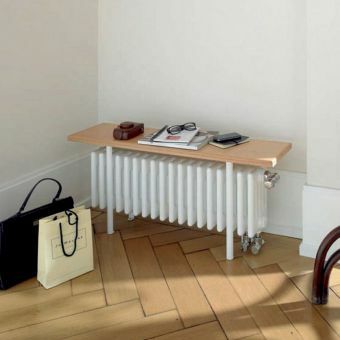 This elegant, towering radiator makes a stylish addition to any bathroom wall without being overpoweringly tall. 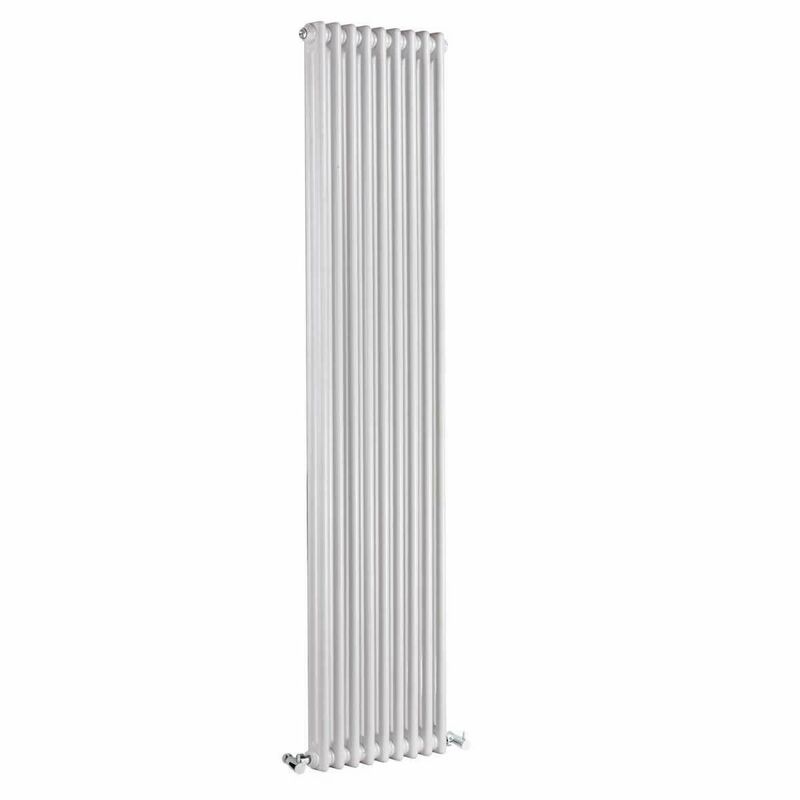 Complete with several individual elements that make up the entire radiator, the Bayswater Nelson Tall Double Radiator's classical design blends simplicity with modern sleekness. 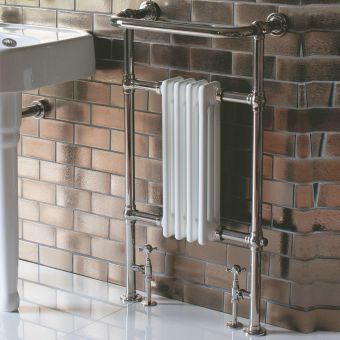 It would be a timeless addition to any modern or traditional bathroom. 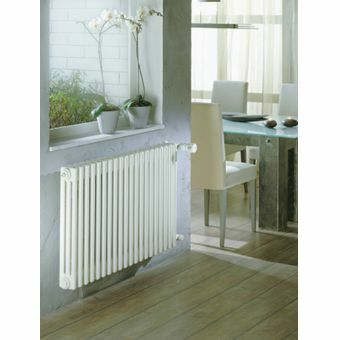 Available in elegant white, the glossy finish ensures a classical feel whilst also providing great warmth. 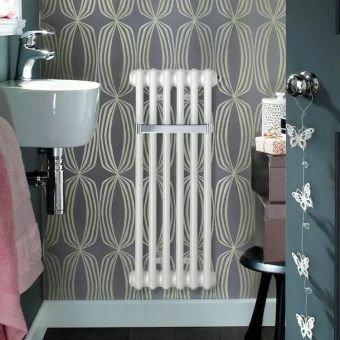 Inside, a simple steel design allows for long-lasting pipework without the hefty price tag, making it a worthwhile investment for your bathroom. 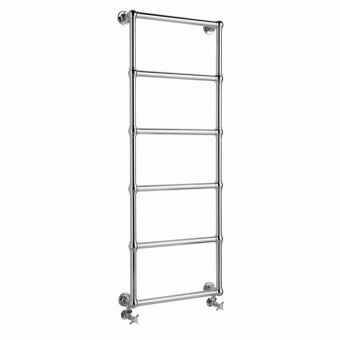 Available 1800mm tall with two widths to complement your existing bathroom pieces, this wall mounted just needs matching valves to allow you to be up and running. 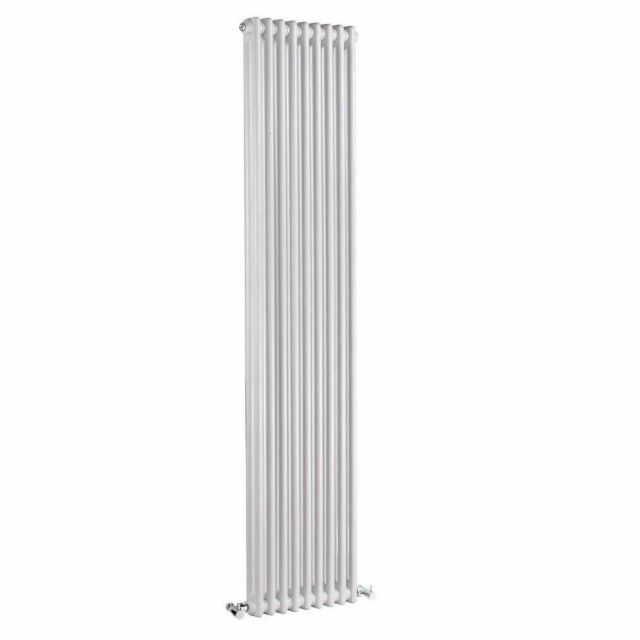 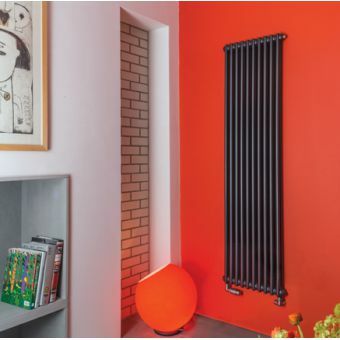 Less deep than the tall triple radiator, this product can be used as a feature for a single wall, or be combined with any other decor. 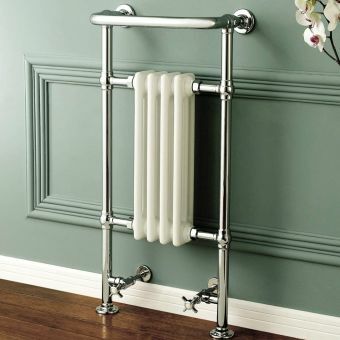 Its simplistic design allows it to be used in both bathrooms and living areas alike.